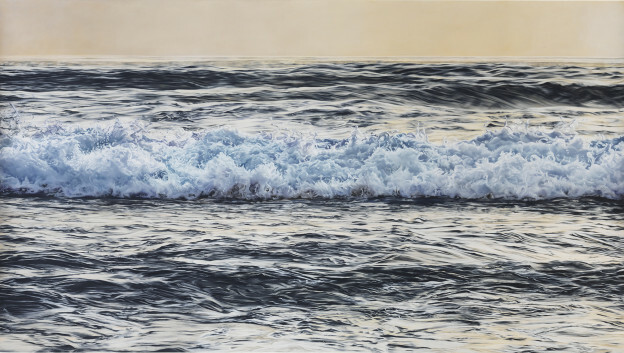 The inspiration for Zaria Forman’s drawings began in early childhood when she traveled with her family throughout several of the world’s most remote landscapes, which were the subject of her mother’s fine art photography. 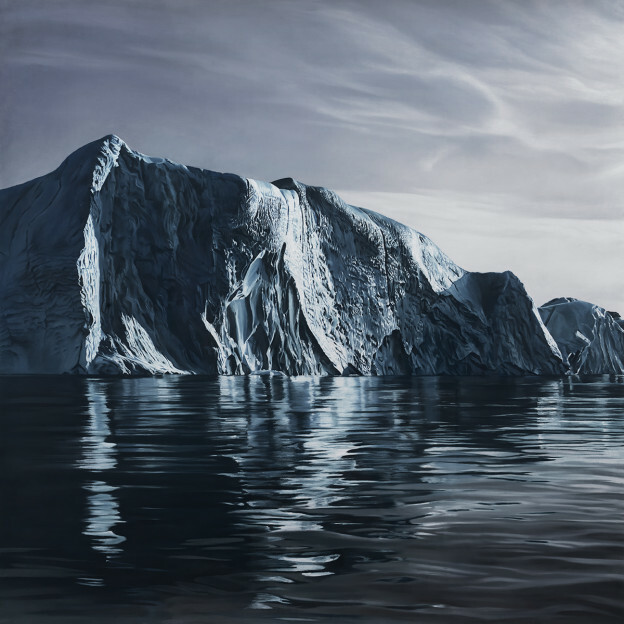 In August 2012 Forman led Chasing the Light, an expedition sailing up the NW coast of Greenland, retracing the 1869 journey of American painter William Bradford and documenting the rapidly changing arctic landscape. She continues to address climate change in her work. Recent achievements include participation in Banksy’s Dismaland, speaking at a live TED event at the Town Hall Theater in NYC, and a solo exhibition at Winston Wächter Fine Art in New York in September and October of 2015. 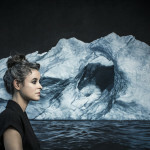 In this exclusive interview, Zaria Forman discusses her drawings and her artistic role in communicating climate change. Zaria Forman: I grew up in Piermont, NY, about 30 min north of NYC. I went to Green Meadow Waldorf school from 6th grade through high school – a very small school with an alternative approach to education, in which art is greatly infused. I taught yoga for 10 years. I’ve been drawing ever since I could hold a crayon, so it’s really the years that trained me, but I did major in Studio Art at Skidmore College. I studied at the Student Art Centers International in Florence, Italy and received a BS in Studio Arts at Skidmore College in New York. My works have been in publications such as Juxtapoz Magazine, National Geographic Magazine, Huffington Post, and the Smithsonian Magazine. I was featured on Good Day New York, Fox News, and interviewed by Lucy Yang on ABC7 Eyewitness News. Greenland No 63, 50″x 75″, Soft Pastel on Paper, 2013. Image courtesy of Zaria Forman. RB: Your work documents Climate Change and its effects. What was the inspiration for this interest and approach? 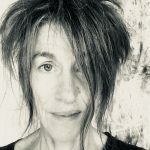 ZF: The inspiration for my drawings began in my early childhood when I traveled with my family throughout several of the world’s most remote landscapes, which became the subject of my mother’s fine art photography. I developed an appreciation for the beauty and vastness of the ever-changing sky and sea. I loved watching a far-off storm on the western desert plains; the monsoon rains of southern India; and the cold arctic light illuminating Greenland’s waters. I have very fond memories of our family trips and consider them a vital part of my upbringing and education. I feel very fortunate that I had the opportunity to see so much of the world, and to learn first-hand about cultures so vastly different from my own. This myriad of experiences instilled in me a love and need to continue exploring and learning for the rest of my life. Maldives no.13, 72″x 127.5″, Soft Pastel on Paper, 2015. Image courtesy of Zaria Forman. 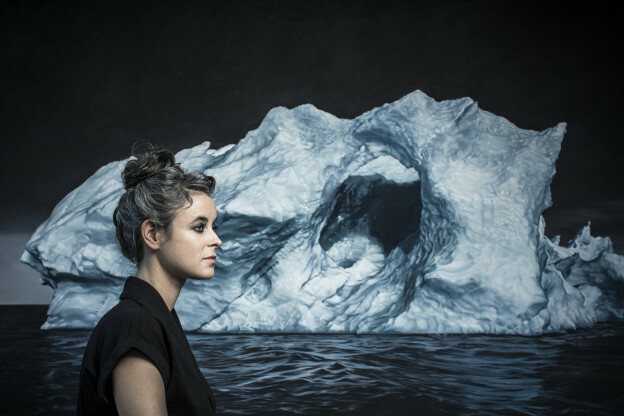 Artists play a critical role in communicating climate change, which is arguably the most important challenge we face as a global community. The severity of the climate crisis really hit me when I visited Greenland for the first time in 2006. I felt both the power and the fragility of the landscape there. The sheer size, majesty, and beauty of the icebergs is humbling. The ice fjords are alive with movement and thunderous cracking – reminders of their destructive capabilities. Yet while their threatening potential is evident, so is their vulnerability: I could see the ice melting under the unseasonably warm sun. Greenland no.69, 50″ x 50″, Soft Pastel on Paper, 2014. Image courtesy of Zaria Forman. The severity of the situation was brought to light even more clearly in conversations I had with locals. Their landscape is transforming so drastically that they are forced to adapt in order to survive. They spoke of vast ice fjords that are not freezing as they once did, challenging the lifestyle of the subsistence hunting communities that dot the coastlines. The fjords are the communities’ hunting grounds for seal, walrus, and other animals that provide sustenance, warmth and other crucial items necessary for Arctic survival. Insufficient ice severely limits their hunting grounds. Greenland has no railways, no inland waterways, and virtually no roads between towns. Their major method of transportation is by boat around the coast in summer and by dog sled in winter (which, ten years ago, made up most of the year). Without frozen fjords, their dogs and sleds are rendered useless, and many cannot afford to travel very far by boat. This is just one of enumerable ways the warming Arctic is affecting the Inuit way of life. 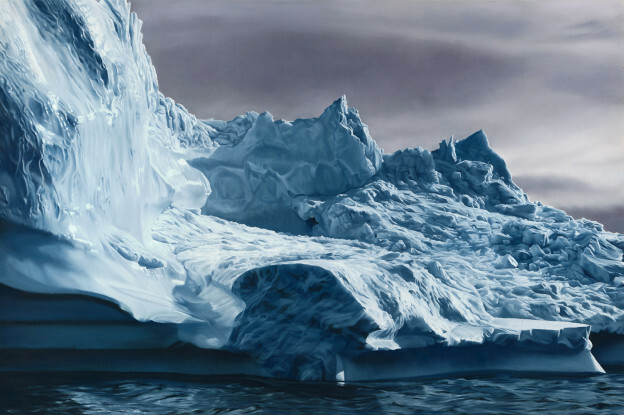 Greenland no.52, 45″ x 60″, Soft Pastel on Paper, 2012. Image courtesy of Zaria Forman. 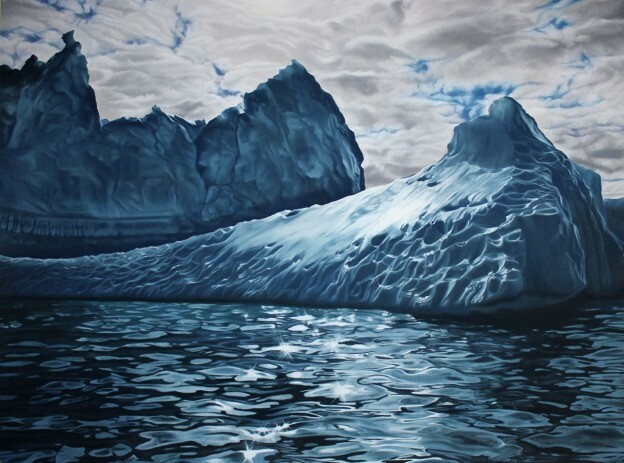 RB: How can art facilitate a deeper understanding of Climate Change?